The Consumer Electronics Show (CES) is the yearly event to showcase new products, product previews or announcement of new products for major tech companies. 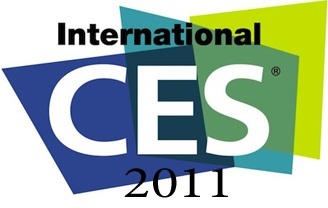 The CES 2011 will be held between January 5th and 7th in Las Vegas. As usual the Steve Ballmer of Microsoft will deliver the opening keynote address at 2011 CES. There are lot of expectations from CES 2011 to end users and it is believed that tablet announcements from varies companies will be the major attention of CES this year. If you are the one who want to closely follow CES 2011 and would like to watch it live then we have got the online streaming link of CES 2011 opening keynote from Steve Ballmer for you. Microsoft will be live steaming CES 2011 keynote along with full on-demand video and selected clips will be available on Microsoft website for viewing at your comfort. Use below link on January 5, 6.30 PM PST to watch CES 2011 Keynote live online. You may also expect live blogging and updates from CES 2011 from big technology blogs like Engadget & Gizmodo as well as new websites like Cnet. Below is the CES 2011 live blogging links. Twitter can be good place to catch CES 2011 updates quickly, follow #ces2011 hash tags.